T-PEOS (The Premium Of Shinwoo) requested beta-testing to me for D-200 series. 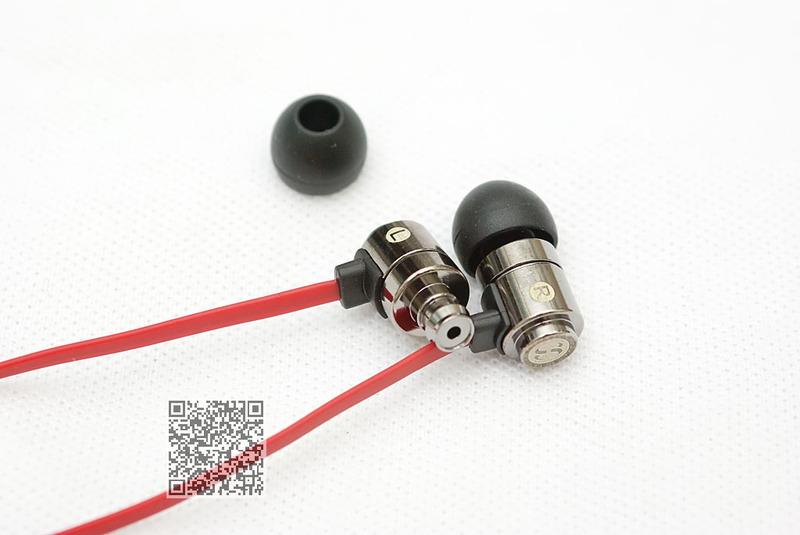 D-200 is a low price mid-high quality dynamic driver used in ear headphone included phone mic and control button (vi or ip). Before read my review, this product is not released on market. There's no packaging and manual. please consider this issue. I got two different shape model of D-200 from T-PEOS. D-201PR and D-202PB is same model but has different shape for various needs. these products are compatibles to phone call with iPhone and Androids. 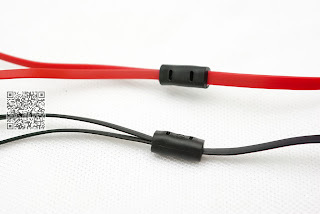 4-pin 3.5pi US-standard connector used. 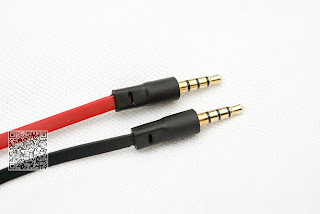 A defect point is 3.5pi connector housing is too thick for use in most of metallic bumper cased iPhone or Android phones. If you are using metallic bumper case like Vapor series or El3ctron and Cleeve, it not be possible to perfect inserting. Cable is flat-anti-tangled rubber based material. There's two different colors, each D-201 and D-202. Phone call mic is placed on right side of cable from Y separation. it has a button to control play/stop music, receive/release call and voice command or Siri(above iPhone 4s) activation. 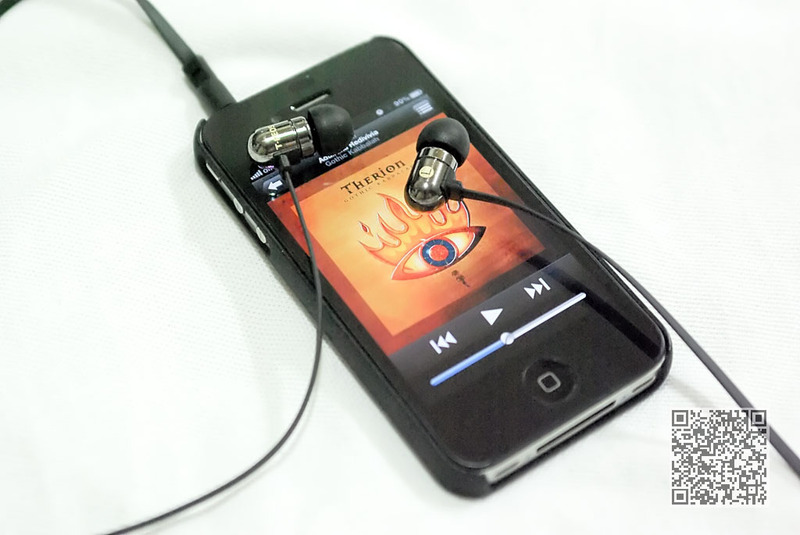 Dynamic driver used for 8mm neodymium magnetic. Housing seems to be stainless steel. and black pearl coated. and laser masking for indicates L/R with T-PEOS logo. Each different T-PEOS logo masked on D-201 and D-202. Silicon tip (or cap) is used for general-purpose and easy to getting one like most of in-ear headphones. D-200's silicon tips are not so soft. little solid for perfect fit on your out side of canal. 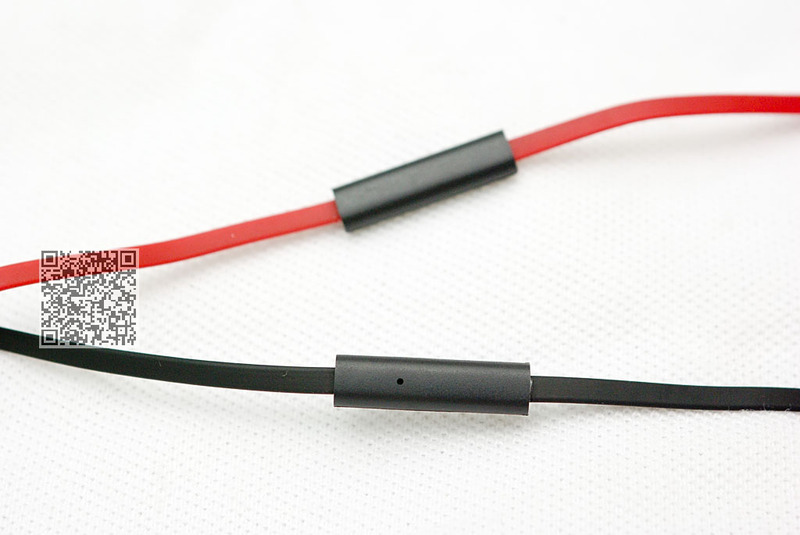 Cable is also little solid and elastic. 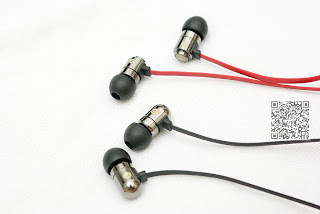 So if you are use at outdoor, take care about touching noise when you in listening music or phone calling. but it is so good at durability. 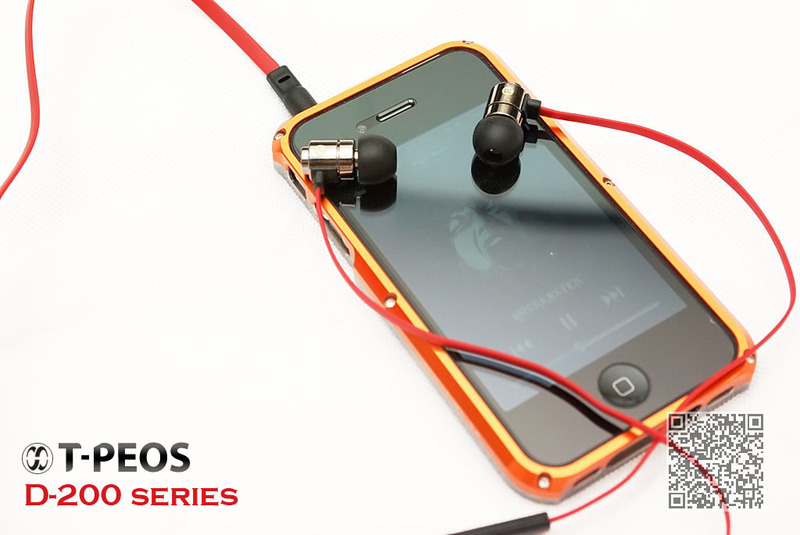 Audio quality is depends on who will listen, what music or audio for listen. watch below graph. 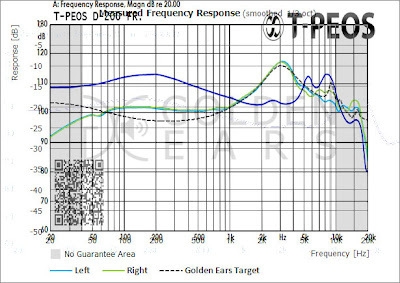 refer to Golden Ears measurement of AKG K-550(yellow and green) and T-PEOS D-200 (blue). I have mixed both different measured graph at one. D-200 has a lot of bass from under 1KHz. 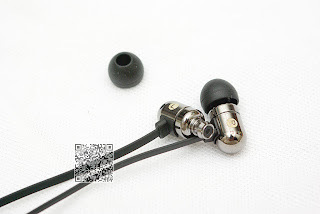 it means you can feels more heavier than referenced stuff like AKG K-550 headphone. 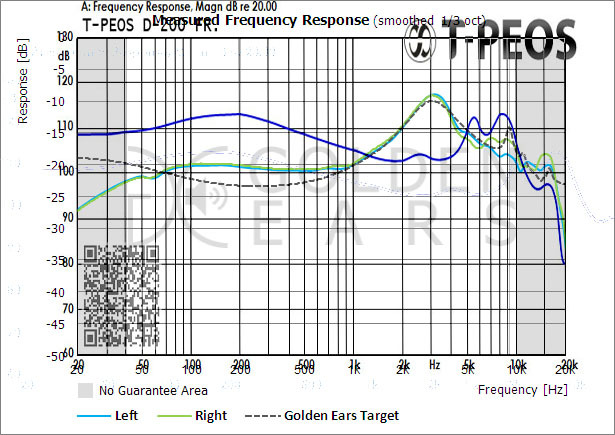 1 to 5KHz, this area is not so improved like reference, but 5 to 10KHz is shifted. it means you can hear more high frequency area. 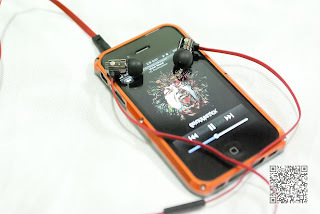 In my case, it hears heavy bass with not-bad high tones. Don't need worry about bass masking. bass is not so overwhelming to mask another frequency. you can hear mighty drums and heavy distorted heavy metal guitars with good hi-hat, snare and cymbals. When you having phone call, voice hears really clear. mic performance is enough to send my voice. 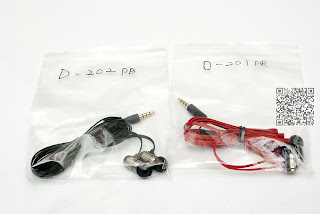 D-200 price will release to $20 ~ $30 USD on market. Do not expect its performance will take over expensive stuffs. But compare with almost $40~50 USD stuffs, you will better to choose this series. It has enough merit for price to good performance.